Saturday and Sunday were absolutely gorgeous! I woke up Sunday morning and decided to run out to Millie's to get my flowers for the planter I take care of out to the West Bend Golf and Country Club. Madsen Greenhouse is like a small paradise in the middle of nowhere. I was lucky enough to have been able to work there as an intern to finish my Master Gardener certification several years ago. I then worked for two more years with Millie and her mother until my duties as Grandma got more of my time. 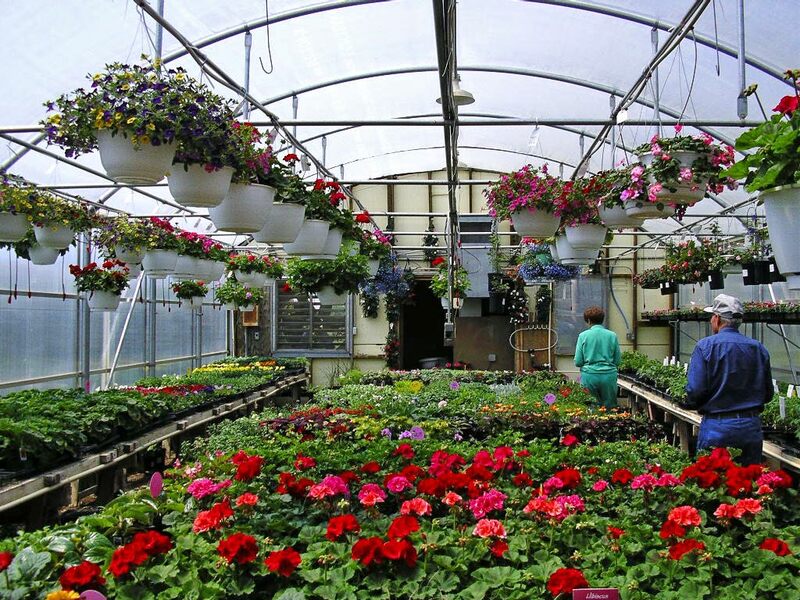 I would have worked for nothing just to be able to walk into the greenhouse in March and early April when the north winds blow the last of the snow around, or the cold early rains are lashing at the roof. To walk inside her greenhouse, bundled up against the elements, and be able to feast your senses on this beauty - well, it's almost indescribable. This is the original greenhouse that Frank built Doris early in their married life. With seven children (correct me if I'm wrong, Millie) (I have been informed - there were TWELVE children!) gardening was a little bit more than a hobby. Doris would recount the early days to me while our fingers were deep in soil, pulling the tiny seedlings apart and sticking them into six-packs. She started planting her tomatoes, corn, peppers and so forth in flats stuck everywhere around the house. 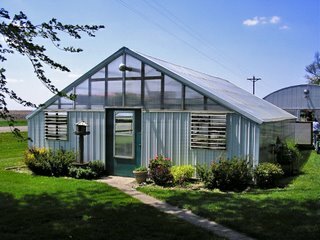 When it got to be too crowded, what with children, household duties and farming, Frank built her a small homemade greenhouse where she could start her seeds. She grew so many of everything that she started giving the extras away to the neighbors. Soon, word of her sturdy, healthy plants reached further and people began driving out from town to purchase her extras. "It just grew from there" she said. When Millie took over she expanded the flower and plant lines, trying new and different varieties of each. People drive from miles around to buy their plants from Madsen Greenhouse because of its reputation for healthy, quality plants. 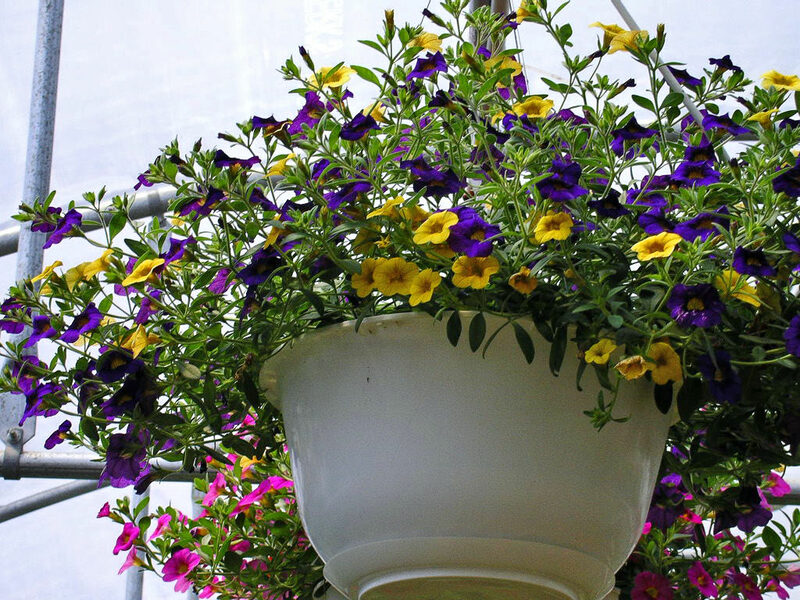 In addition to her community based gardens, Millie prepares wonderful hanging baskets and Memorial Day planters. 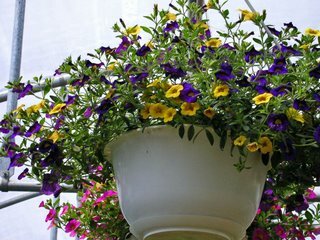 Several years ago, she introduced Million Bells petunias to her line of annuals. These small petunias are literally covered in bloom all season long with no dead-heading required. I quite literally fell in love with these gems. I think I know the perfect place for this beauty. Go Wolverines! Great way to spend a Sunday morning!